Keep your properties looking fresh with commercial property management painters. When you manage a commercial property, you need a company you trust to do work on it. It is important you find companies to use that are reliable, efficient, and that come and do work when they say they will. You need work done quickly and efficiently so that your property always looks nice and well maintained. One thing that is especially important is to make sure your building or buildings are painted regularly so they look great and remain free from peeling and faded paint. 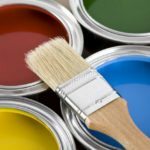 Commercial property management painters are great for this job, and at Prep-Rite Painting, we are just the company to take care of all of your painting needs. At Prep-Rite Painting, we know how important it is for you to find reliable commercial property management painters. This is why we work hard to be there for you when you need us and to arrive when we say we will, ready to get the job done. We work quickly and efficiently, paying close attention to detail and the quality of our work. We will try our very best to stay on schedule and get everything done so you are not inconvenienced for a long time. We will handle all of the prep work and will even power wash all buildings for no extra charge before we begin painting. We will handle all of the cleanup as well, so you will not have to worry about anything. If you are looking for experienced commercial property management painters to freshen up your Raleigh, North Carolina commercial property, contact us today at Prep-Rite Painting. We will get the job done and make your property look fabulous. We do both interior and exterior painting and we can handle jobs of all sizes. At Prep-Rite Painting, our Commercial Property Management Painters proudly serve Apex, Cary, Holly Springs, Fuquay Varina, Chapel Hill, and Raleigh North Carolina.